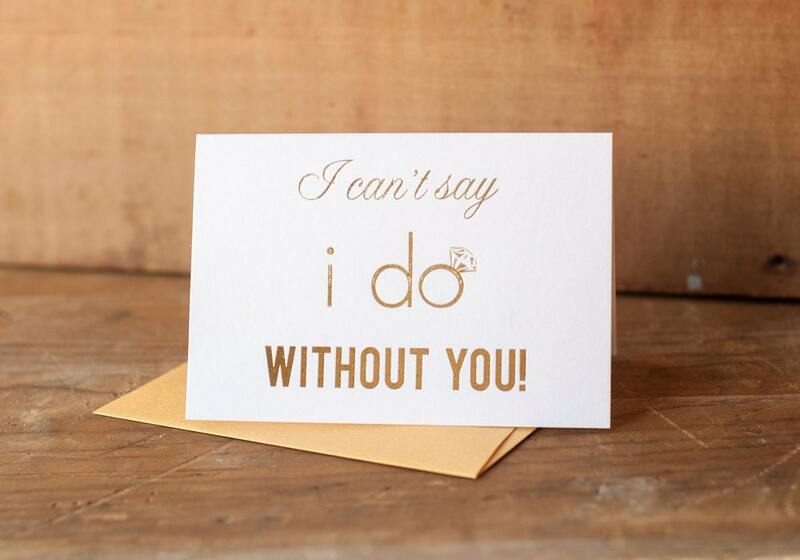 Ask your attendants to join you on your special day in high class style. 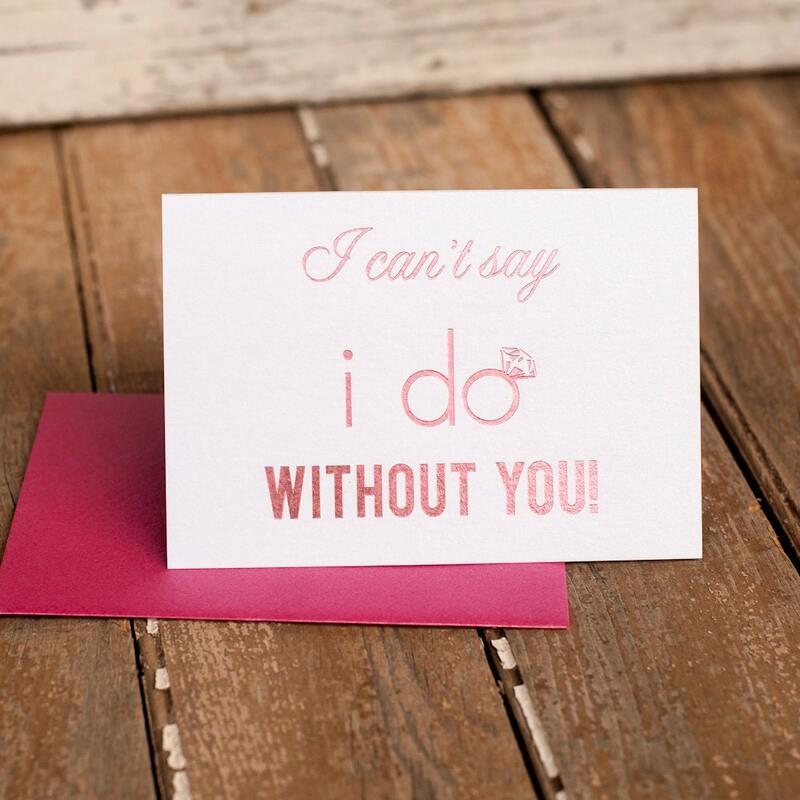 Our foil stamped cards come in beautiful shimmering white pearl cardstock with elegant gold foil, hot new rose gold foil, or pretty pink foil. 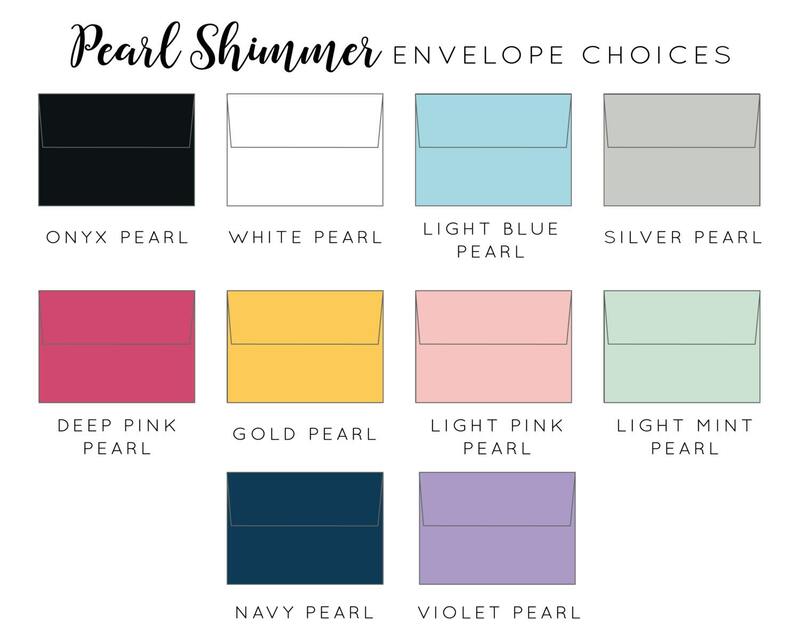 These 4.75x3.25" notecards are folded with a blank interior for you to write your own personal message, and come with your choice of one of 9 different pearl shimmer envelopes - see all envelope options in our last photo. 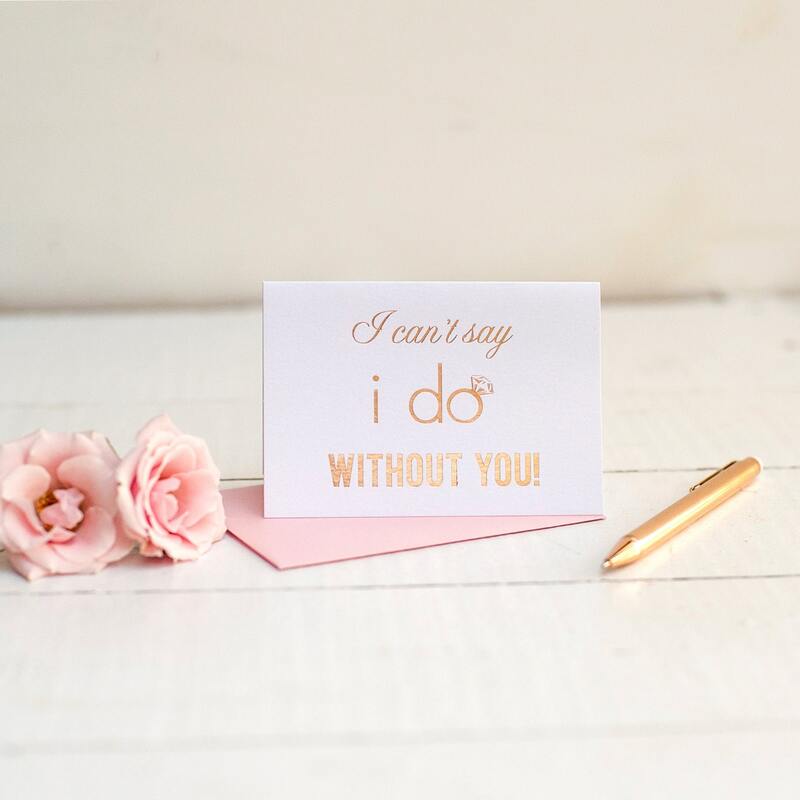 The perfectly dainty, small sized notecards will fit nicely in a bridesmaid box or are the perfect size to tuck in a larger gift, but also work beautifully sent on their own. 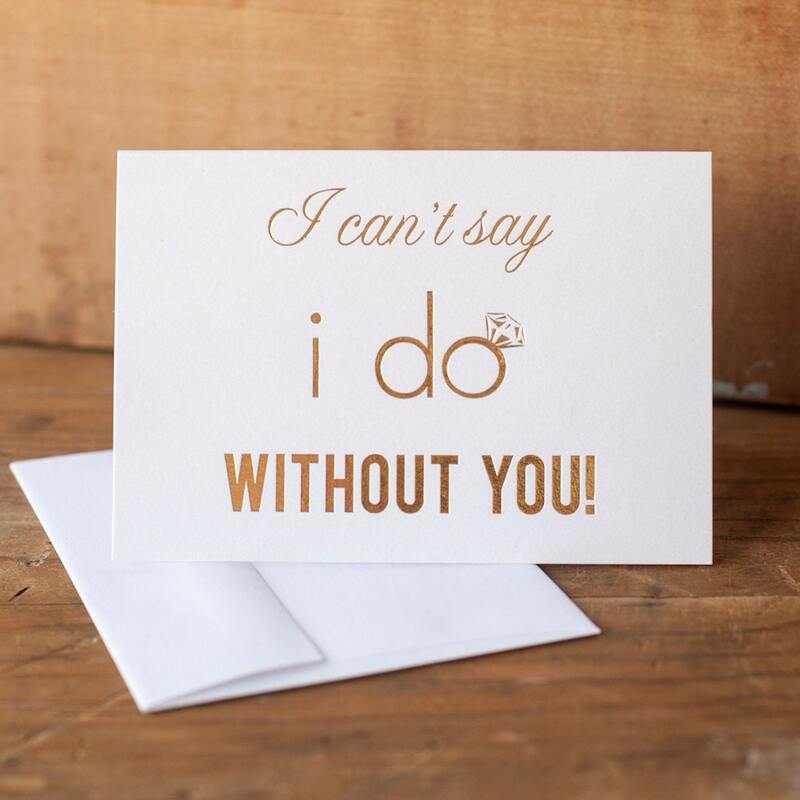 Our pearl envelope options stand out, making sure your heartfelt note does not go unnoticed. Envelope choices are in the last photograph. 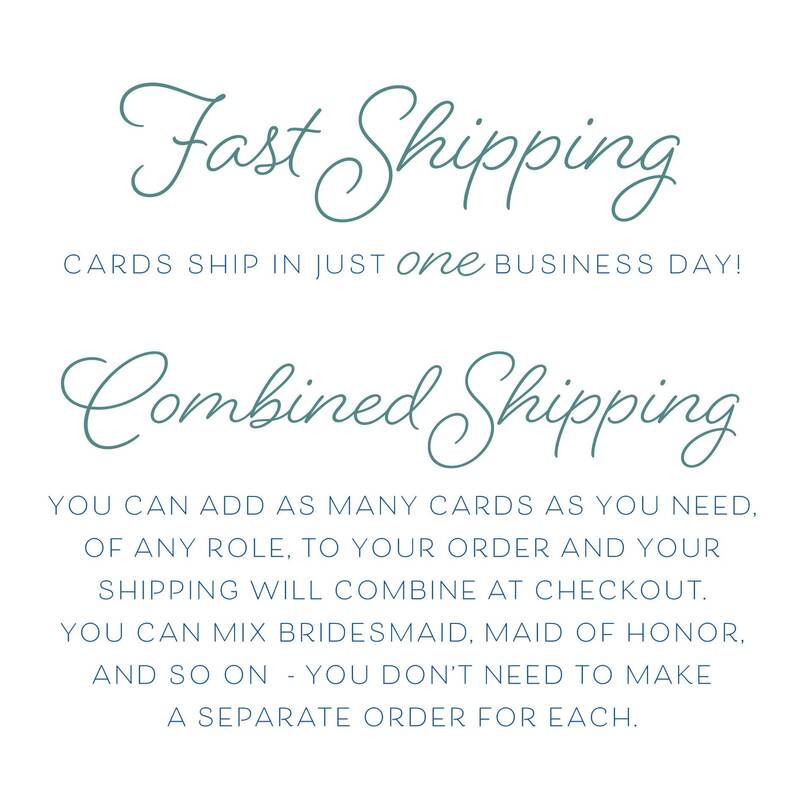 Cards with this design are shipped flat with their envelopes in a clear cello bag within a rigid mailer for extra protection.